The Ontario Auto Center will play host to several food trucks today (August 31) and Monday (September 2). As a bonus, participating dealers will be giving away a limited number of $5 vouchers for the trucks. Head over the jump to see which trucks are going to be at which dealerships. The Los Angeles County Fair opened Friday (August 30)…and you know what that means. Media folks were treated to a food preview on Wednesday, and we got a small sampling of what to expect at this year’s fair. You want red sauce, pepperoni and mozzarella cheese? Check. Herb butter, gorgonzola and bacon? OK.
Olive oil, chicken, pineapple, garlic, jalapeños and pesto? Uh…sure. How about red sauce, herb butter, olive oil, mozzarella, ricotta, parmesan and gorgonzola cheeses, pepperoni, sausage, meatball, chicken, ham, bacon, black olives, mushrooms, red onions, green peppers, artichokes, tomato, pineapple, jalapeños, fresh basil, cilantro, garlic, roasted red peppers, black pepper, pesto and barbecue sauce? Absolutely! 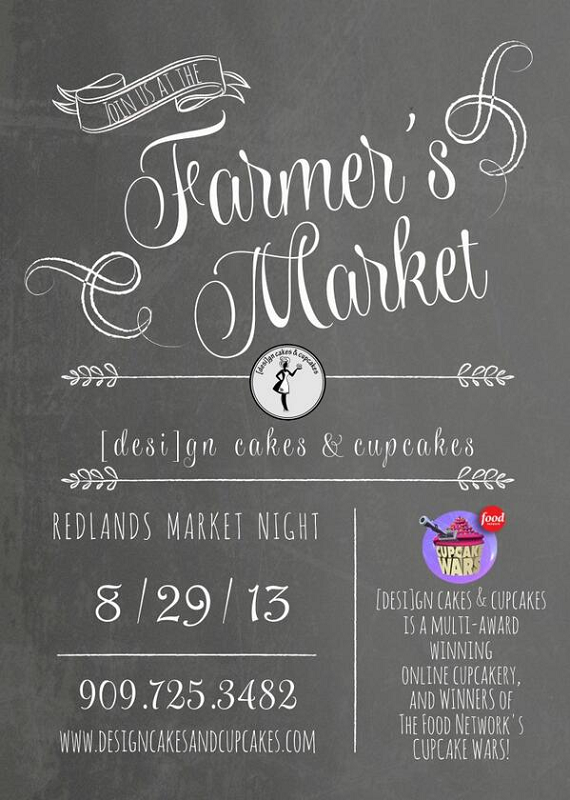 In the Redlands area tonight? 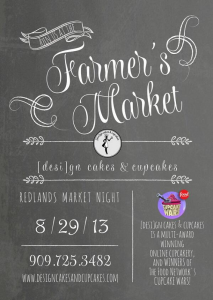 Debuting at Redlands Market Night tonight (August 29) is [desi]gn Cakes and Cupcakes, a multi-award winning (including Cupcake Wars and a double-winner at the I.E. Cupcake Fair). The bakery will be selling Apple Bacon Harvest, Salted Caramel, S’mores and Carrot Cake cupcakes from 6 to 9 p.m.
Our new friends over at the soon-to-open Rancho Cucamonga Pieology location have a slight problem. You see, they’re training their new employees this week and want to put them through their paces. The only problem is…they’re not open yet, and hence, have no customers. Spotted on Facebook last night that longtime Thai restaurant Ranu has closed permanently. The restaurant, 25655 Redlands Blvd., Suite I, Loma Linda, closed back in May, hoping to take a few months to reorganize and then reopen. 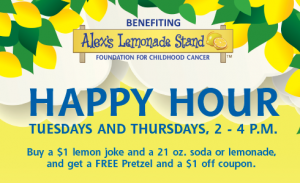 Earlier this year, Del Taco rolled out items on its Buck & Under and New Tastes menus and promoted them by giving them away. Well, the chain is doing it again! For the next three Wednesdays (August 28 and September 4 and 11), the chain is giving away items from its Buck & Under menu with any purchase. Beer lovers…mark your calendars for Saturday, September 7! That’s the day the California Beer Festival returns to beautiful Bonelli Park in San Dimas. Tickets are available now for the event, which will run from 12:30 to 5 p.m.
Taco Bell has released the third flavor of its insanely popular Doritos Tacos Locos line into the wild a bit early. The Fiery Doritos Locos Taco won’t officially be on menu boards until Thursday (August 22), but yesterday the chain posted to its social media accounts that it was already available. I tried the new taco today for lunch, and was pleasantly surprised. The shell isn’t overly spicy (much less so than Flamas Doritos), and the taco gets a good hit of flavor from the lime seasoning on the shell. In comparison, I thought the Nacho Cheese flavor was overly salty, and the Cool Ranch flavor just left me underwhelmed. Head over the jump for a video preview.